mother, on the new Netflix half-hour comedy, #GIRLBOSS. Other television work includes Blue Bloods, Royal Pains, 30 Rock, and Hee Haw. party with special gifts, music, and conversation with Alice Ripley. Tickets are available at www.RipleyforArizona.com/alice. U.S. Diplomat. Catherine was one of the first women accepted at the U.S. Naval Academy. Her distinguished career included Defense Attaché tours at U.S. Embassies in The Hague and Madagascar. She accepted an executive leadership position at Raytheon in Tucson where she retired in 2015. 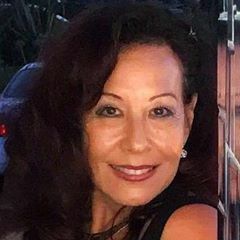 Today, she is an adjunct professor at Pima Community College where she teaches Political Science, International Relations, and the U.S. Constitution. Alice Ripley is Catherine’s sister-in-law, in case you’re wondering about the same last name.